The 2018 RAM 2500 is built to assist you in your toughest jobs. No matter how large your Pueblo job is, you can rely on the RAM 2500 to tow the equipment you need to get it done. 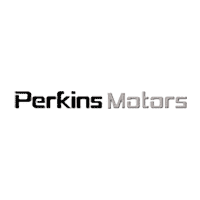 With three engine options and the ability to tow tens of thousands of pounds, drivers and critics alike have praised this truck’s performance. 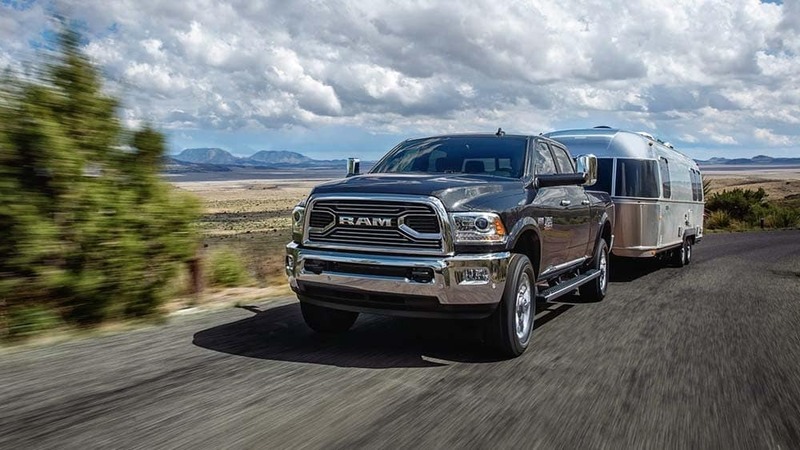 When equipped with the 6.4L HEMI® V8 engine, this RAM truck has a Best-In-Class max towing capacity of 16,320 pounds and a 3,990-pound max payload capacity. When supported by the 6.7L Cummins® Turbo Diesel I6 engine, the RAM 2500 has a max towing capacity of 17,980 pounds, and a max payload capacity of 3,160 pounds. Standard: The RAM 2500 comes with a standard 5.7L HEMI® V8 engine with Variable Valve Timing that delivers 383 hp and 400 lb-ft of torque. Upgrade: Drivers who go with the upgraded engine will get a 6.4L HEMI® V8 that delivers a powerful 410 hp and 429 lb-ft of torque. Diesel: The diesel RAM 2500 is equipped with the 6.7L Cummins® Turbo Diesel I6 engine that delivers 370 hp and 800 lb-ft of torque. 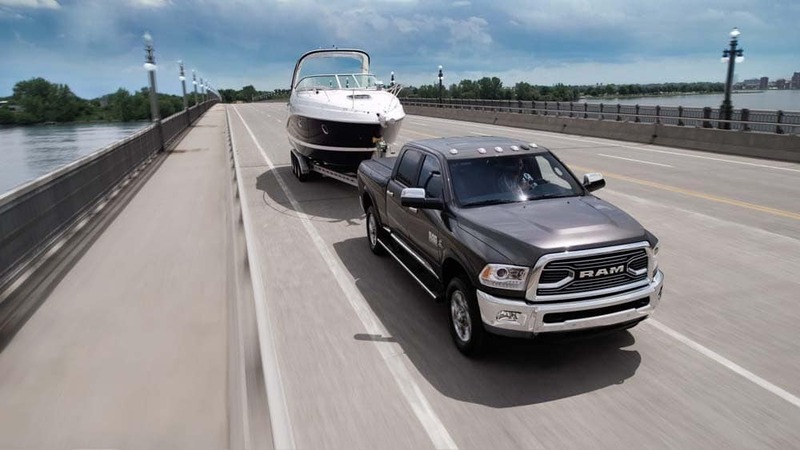 If you’re in the market for a reliable, capable truck with the towing capacity you need for your toughest jobs, the RAM 2500 is the pickup truck for you — whether you plan to customize it or not. Browse our inventory online and choose the trim that suits your needs, then come see us in Colorado Springs for a test drive. If you have any questions about the RAM 2500 and its capabilities, feel free to contact us. We look forward to assisting you! 0 comment(s) so far on What is the Towing Capacity of the 2018 RAM 2500?